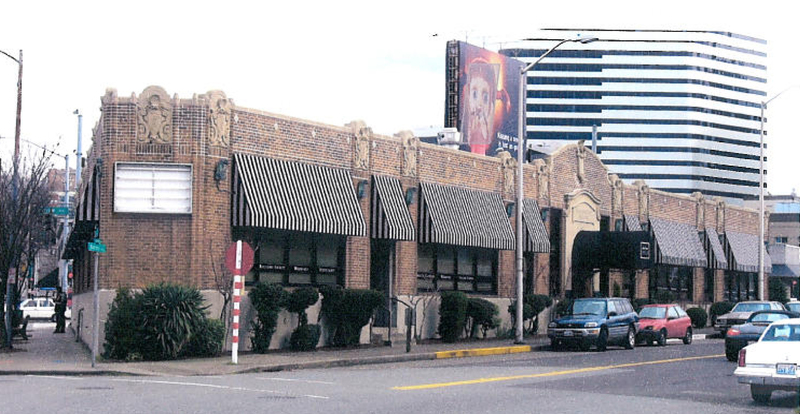 At its meeting on Wednesday, January 4, 2012, the Seattle Landmarks Preservation Board designated the Fashioncraft Building (2022 Boren Avenue) as the newest Seattle Landmark in a unanimous 9-0 vote. The landmark nomination was prepared by cultural resource consultant Karin Link for the Seattle Historic Preservation Program. The nomination was prepared as part of the 2007 Downtown Historic Resources Survey which identified the property as potentially eligible for landmark listing. Download the nomination here (look for 2022 Boren Avenue). The building owner, Recovery Cafe, acquired the property in early 2010. Recovery Cafe staff and board members enthusiastically supported the nomination and designation. The organization retained the services of David Peterson of Nicholson Kovalchick Architects to present additional information about the significance of the building as it relates to the economic heritge of the city. The Schoenfeld Brothers, the original building owners, are often described as founders of Seattle’s modern clothing industry. The building (constructed in 1929) was used to house a business that manufactured neckties. Presentations by Ms. Link and Mr. Peterson made the case for designating the building under three designation standards–C, D and F.
Public comment supporting the designation was provided by Historic Seattle at the meeting and the Washington Trust for Historic Preservation submitted a letter of a support. It was great to see the owner supporting the designation, particularly given the controversy surrounding the Downtown Survey over the last few years when some property owners have vehemently opposed the nomination and designation of their buildings and have fought to prevent landmark listing. This relatively modest one-story building has such a great story to tell and it is formally being recognized for its significance. The best part is it has an appreciative owner that values the building’s heritage. Recovery Cafe does amazing work- if you are looking for a worthy nonprofit to support with your time or treasure, I recommend it. I could have sworn this building was occupied by the restaurant “13 Coins,” possibly in the 60’s or 70’s. Does anyone have any information? The owners seem to be truly wonderful people, in more ways than one!